Scrapping with Ngaire NEVER makes me grumpy…..unless Tina forgets to make the Rocky Road!!!! Yep, NOTHING! I was expecting some delicious treat to gorge whilst listening to Ngaire’s dulcid tones and sniffing way too much StazOn, but was tragically disappointed. It’s a good thing we all love you very much Tina. Well, to be fair, the poor love did say she got in at 10pm the previous night and went straight to bed. I had to send Cherie to the shops for some Cherry Ripes – that’s right, couldn’t get myself into my own car and go to the shops – sent someone else PMSL…..I have no idea how I got away with that one. Pics of Rainer last August (already in singlets, so hot last year). 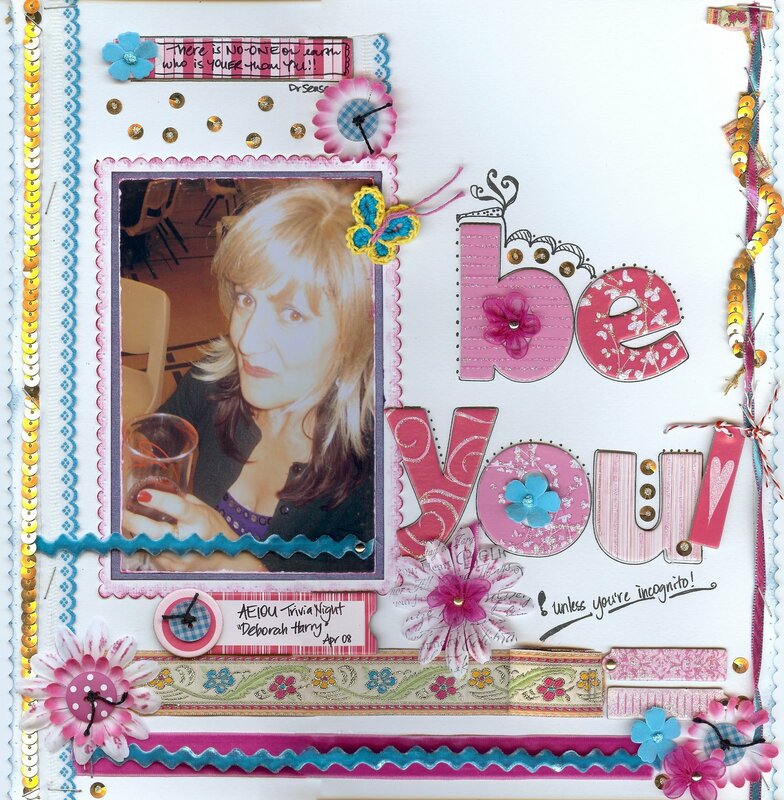 I altered one of this series for the “Looking Ahead” layout that Scrapbooking Memories published. He’s so adorable to photograph!! Also entered Ngaire’s comp to win an online class with the fantastically talented Vivian Bonder. I absolutely ADORE Vivian (and when I grow up, want to be just like her -heh). Even if I don’t win, I might just do it anyway. I always do that when I’m tired. Worry about my boys. I’m sure it’s just a “mummy” thing and the tiredness feeds the anxiety and visa-versa. I’ve also concluded that I can’t be the friend that always rings, drops around, and comforts. I let it go for about a week (even longer for others) and I’m really surprised at the result. Some surprisingly nice, others surprisingly disappointing. It probably sounds selfish, but I feel that I give for very little in return. Mum even said I have too much time for my friends and not enough time for myself. INTERESTING because Mum never says stuff like that to us. But I never thought of it like that. Perhaps it’s time to let some of those friendships go the way of the Dodo. Maybe these people are worse than me, and I HAVE to be the one to ring. I’m sure we ALL have friendships like this. How do we know when it’s the “end”?????? 5. Chris’ 40th – again on my own, daytime BBQ – should be okay. Just had to pop in and say mwah – glad we all think like that at times….your mum’s words are true….LOOK AFTER YOU.!! you make my world feel as though its normal …loli love your posts i dont always comment .. but i read (im usually in tears at the end of your posts and i just want to squeeze you …) your such a strong gorgeous dynamic woman .. see you at charms class.. cant wait..how lucky to do one of ngaires classes…(its a hard 1 to remember lmao) i have done 2 viv classes irl.. and the woman is not only talent but gorgeous..have fun chick… and the friend thing.. you work out along the way which ones are worth saving… when u work out u need to do that.. if that makes sense. Sweetie, sometimes you do have to step back and take time for you.If you are always giving but your friend is only taking and not returning, you need time for you. I have had to walk away from friendships because of this, it just gets you down.Your layouts are gorgeous as always sweetie. Hi gigi..love the photos of your bushwalk the one of you and rainer holding hands is gorgeous!! Gigi friends can be like that for sure and i know that i struggle with the same issues giving and them taking and yes you need to take time for you too.